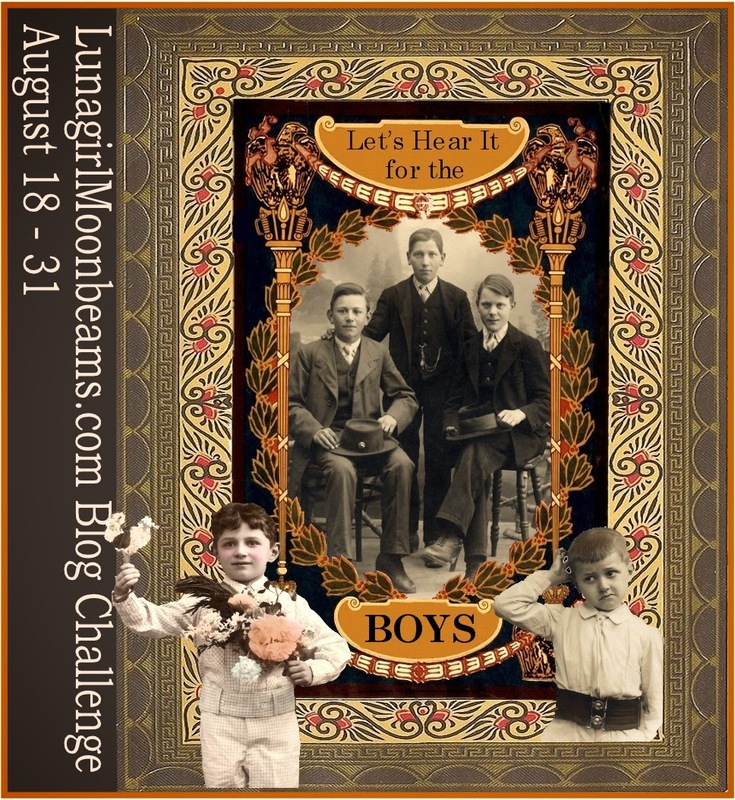 Lunagirl Moonbeams by Lunagirl Vintage Images: Creative Blog Challenge: Let's Hear It for the Boys! Creative Blog Challenge: Let's Hear It for the Boys! Time for a new challenge theme! We usually do so many themes with women and flowers and little girls... this time it's something different: Let's Hear It For The BOYS. I'm the mother of two boys myself, so I'm all for that. Prize: The winner will be selected randomly, to receive a Lunagirl collage sheet CD of your choice! ($25 value). Challenge ends at noon CST on August 31. 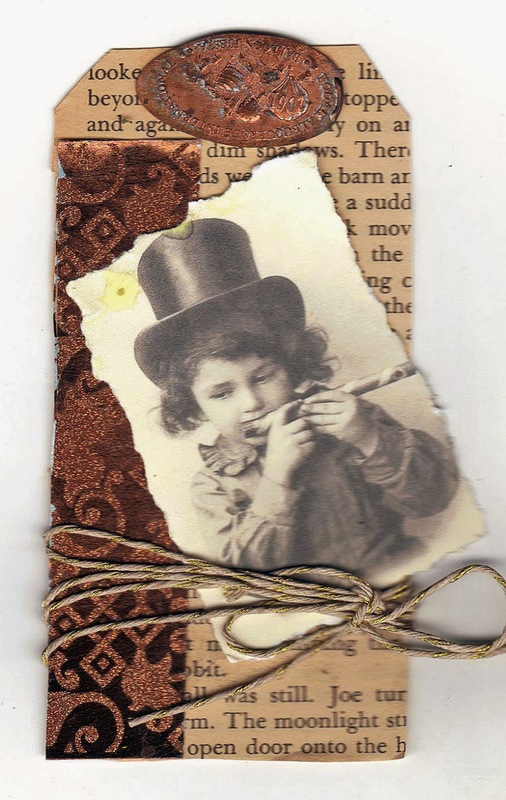 To get you started, here is an adorable little guy on a bookmark created by Michele Storms, perfect for our boys-themed challenge and also for Back-to-School Time! as the mom of one child, a son, i love being challenged to deliver up some good things featuring boys. i made a bookmark on the "back to school" theme since that time is right around the corner. 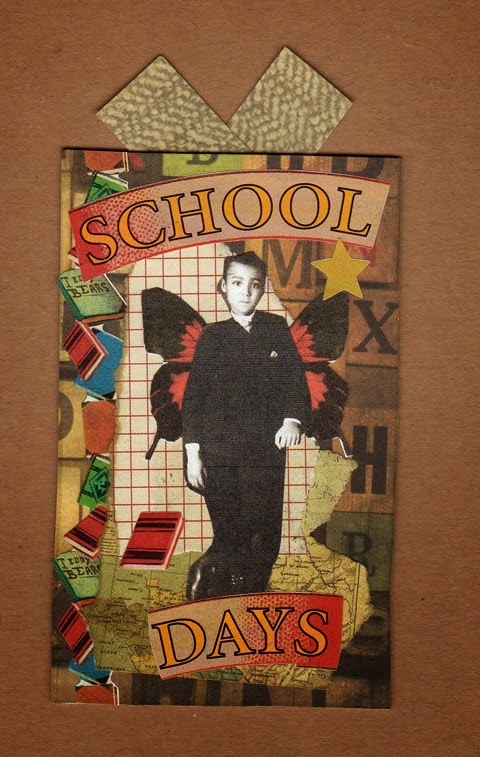 i used an image from your african american CD and the rainbow butterflies sheet (because boys can take flight too of course -- and truly learning gives you wings!) the rest is stuff from my stash. 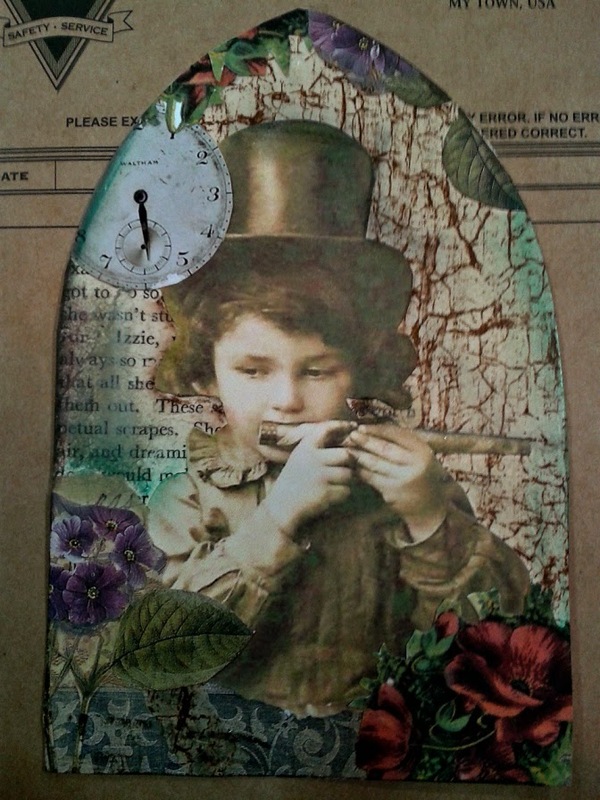 Here he is again on a tag by Vicki Romaine! I love the vintage style of this one, with the sepia and copper colors. Great design team samples. Thanks for the "for the boys" challenge this week. It will be fun to play!